Seline is 13 years old and hopes one day to become a professor. She is interested in a wide variety of subjects at school and sees the potential in herself for all of them.Education is what’s most important to her. She believes it holds the key to a brighter future for herself, her family and her society. Seline, her brother and her sister were taken in by an aunt after they lost both parents. Since then education has been an issue because Seline’s aunt is bed-ridden and unable to provide more than their basic needs. Despite this, Seline continues to study hard in the hope of making a better life for herself. 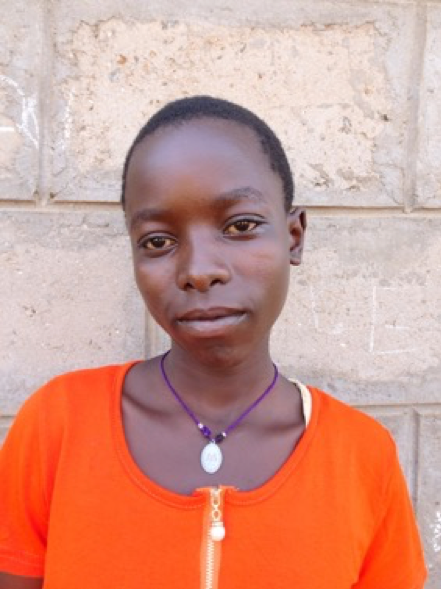 By sponsoring Seline, you can support her through secondary school until December 2021 to help make her dreams a reality and prevent another young girl from dropping out of education too early.